Take care of our hair properly is one of the things that many girls perform in order to have a strong, healthy and shiny hair. Because everything we do every day, wash, brushed, ironing, hair etc. suffers damage which we can revert easily using any treatment we can do from our home. This time you share several treatments that will help you learn how to care for damaged hair keeping you healthy and strong. Take note! Avocado helps to maintain the natural humidity of the hair and the best everything is can be applied once a week. To do this we will need 1 egg yolk, 1 tablespoon olive oil and avocado half. To perform it all the ingredients are mixed and applied on the hair to ensure that it is from the root to the tip, let act mask for 20 minutes and subsequently proceed to rinse with warm water and wash with our daily use shampoo. Mayonnaise helps to repair damaged hair as well as give you brightness, for this treatment heats a Cup to turn it into fat, which is applied on the hair for 15 minutes. Subsequently is to rinse with warm water and wash with our usual shampoo to get rid of all that mayo. The egg yolk is very useful to strengthen and repair damaged hair. This mask is used 2 egg yolks which covers the hair for 20 minutes, then proceed to rinse with water and wash with regular shampoo. This is an ideal mask for damaged hair, since it helps us to strengthen it and brings many proteins, which will give you brightness and strength. 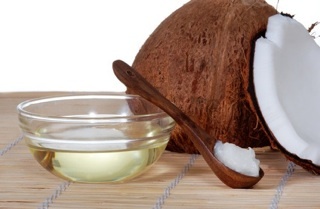 To apply use coconut oil, which is warm and applied in the hair, you will have to let Act during the night and the next morning they wash hair with shampoo and apply conditioner. These are only some treatments that you can use to take care of the hair, also must avoid using chemicals such as dyes or permanent liquids, also be sure to minimize the use of hot tools to straighten your hair and finally tries to not brush your hair while this wet. Using these simple tips you will ensure to give your hair the necessary vitality to make it always look healthy and shiny. I hope that these tips on how to take care of your hair has been very useful for you, remember to share it with your friends and don’t forget to keep browsing our site. You will surely find a hairstyle according to your tastes and needs.